The Bombay High Court, on Monday, extended the interim protection granted to scholar Anand Teltumbde from February 11 to February 22. Fixing the next date of hearing as February 22, the court added that in case of arrest, he could be released on bail upon providing a bond of Rs 1 lakh. According to reports, Teltumbde has also been directed to appear before the investigating officer of the case on February 14 and 18. Pune police had arrested the scholar from Mumbai airport on February 2, despite a Supreme Court order granting him interim protection from arrest for four weeks from January 14. Teltumbde is facing charges under the Unlawful Activities Prevention Act(UAPA). The Pune police has alleged that the enquiry into Bhima-Koregaon violence which took place in January 1, 2018 revealed that Teltumbde had links with Maoist organizations. The Bombay High Court had then, in December last year, dismissed his petition seeking the quashing of the FIR and had granted him interim protection from arrest for three weeks. A challenge to the High Court's rejection before the SC was unsuccessful. The Apex Court had, however, granted him interim protection for four weeks, to enable him to seek anticipatory bail. After the SC declined interference, Teltumbde had written an open letter stating that he was being framed for his civil rights activism. He termed the charges of Maoist links "hilarious" and "strange". He further asserted that he was not even present in Pune during the Elgaar Parishad event and the Bhima-Koregaon march. He added that he was being linked to Maoist organisations based on 'fabricated letters' published by certain media. "There is not an iota of unlawfulness in either my voluminous writings or selfless activism. Rather, my entire academic career and corporate career of nearly four decades has been without a single blemish and is exemplar of integrity of the highest degree," he wrote. His letter had also stated that the arrest under UAPA charges will have a devastating effect on his life and career. He wrote, "
For me, arrest means not simply the hardship of prison life. It will keep me away from my laptop which has been integral with my body, from my library which has been part of my life, half-written manuscripts of books committed to various publishers, my research papers which are in various stages of completion, my students who staked their future on my professional reputation, my institute that invested so many resources in my name and recently appointed me to its board of governors." Teltumbde's public appeal gained attention amongst notable intellectuals across the globe. Over 90 organisations, 50 institutions and intellectuals like Noam Chomsky, Jean Dreze, Sukhdeo Thorat, Vimal Thorat, Cornel West and Chirstophe Jaffrelot wrote to UN secretary general Antonio Guterres asking him to intervene and withdraw the 'fabricated charges' against him. Terming the charges to be "one of the severe most human rights violations" against freedom of speech and dissent, the letter by international civil rights activists said, "We therefore urge the United Nations to engage with the Government of India to immediately withdraw all charges against Dr. Teltumbde and oblige in serving justice and protecting democracy from the perils of tyranny. We appreciate an opportunity to meet yourself and your team in person at your earliest convenience and present our concerns". Teltumbde is an IIM-A alumnus, who turned to civil rights activism after a stint at a corporate career in companies like BPCL, Petronet etc. He is an author of 26 books, columnist in the Economic and Political Weekly, Frontier, Outlook India etc. 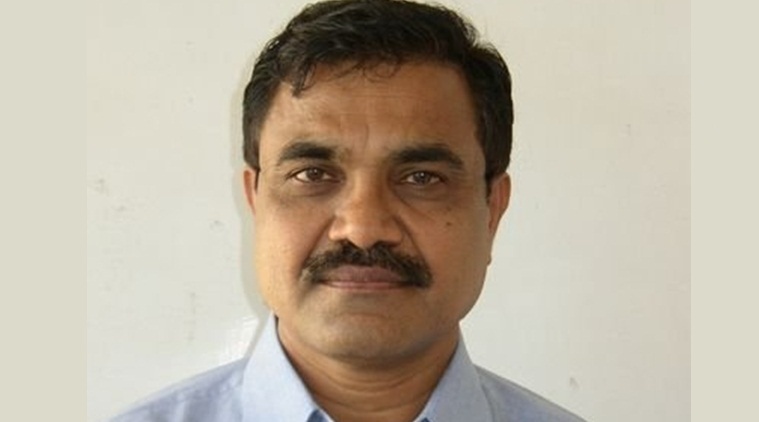 As a democratic rights activists he is General Secretary, Committee for Protection of Democratic Rights (CPDR), Maharashtra and an Executive Member of Coordination of Democratic Rights Organization (CDRO). He is also a presidium member of All India Forum for Rights to Education (AIFRTE), an all India movement to achieve equitable and free education to all from KG to PG. The police has filed chargesheet against the first five arrested persons in the case – lawyer Surendra Gadling, Dalit rights activist Sudhir Dhawale, prisoners' rights activist Rona Wilson, tribal rights activist and TISS alumnus Mahesh Raut and retired Nagpur professor Soma Sen.
Chargesheet is yet to be filed against the other arrested persons- lawyer and academic Sudha Bharadwaj, prison rights activist Vernon Gonsalves and Arun Feriera and Telugu poet and activist Vara Vara Rao. The Bombay High Court had refused to grant an extension of time to file charge sheet, beyond the period of 90 days as per Section 43 D of UAPA. However, on Government's appeal, the Supreme Court had stayed the High Court's order on October 28.